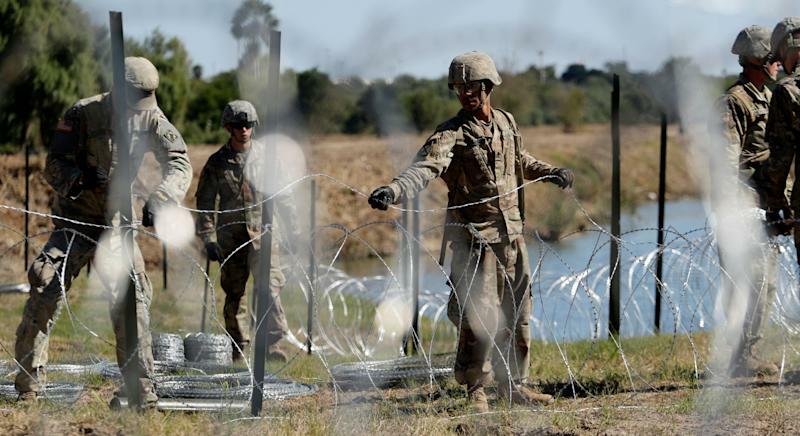 The Department of Defense awarded its first contracts to two companies Tuesday for construction of a barrier along the U.S. border with Mexico, according to a notice posted on the DOD’s website. The Galveston, Texas-based company SLSCO was awarded a $789 million contract for “border replacement wall construction” in Santa Teresa, N.M., while Barnard Construction Co., a firm based in Bozeman, Mont., received a contract worth $187 million for “pedestrian wall replacement” in Yuma, Ariz., the DOD’s website stated. 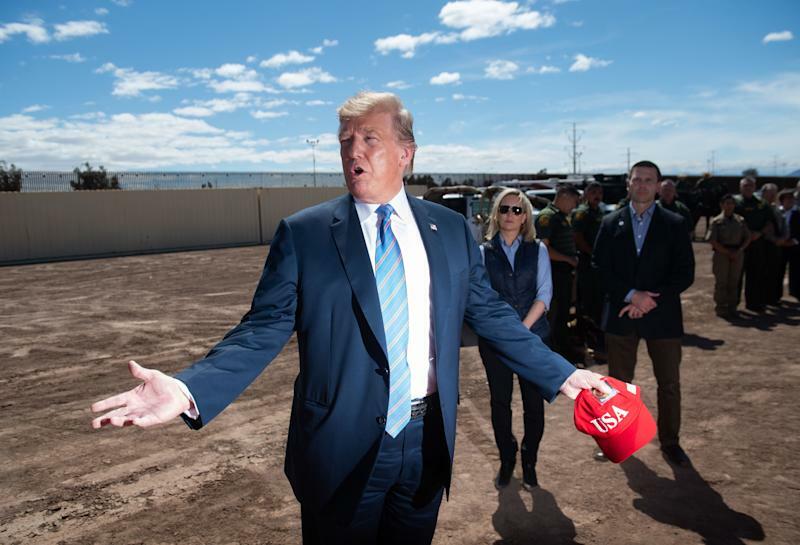 Nearly two months after President Trump declared a national emergency to secure funding for the construction of his border wall, the contracts represent the first issued by the Department of Defense. This piece of information was among several details included in a letter that Rep. Anthony Brown, D-Md., vice chair of the House Armed Services Committee, received Tuesday from Kenneth Rapuano, assistant secretary for homeland defense and global security at the Department of Defense. The letter, a copy of which was provided to Yahoo News, includes responses to questions that Brown and a handful of other House Democrats sent in February to acting Defense Secretary Patrick Shanahan, including information about the department’s strategy and justification for deploying active-duty troops to the southwest border. While Tuesday’s letter confirms that the DOD has already spent close to $300 million in its support of U.S. Customs and Border Protection operations since last year, and expects to spend an estimated $350 million over the next several months at least, the DOD’s answers revealed that little action had been taken on the construction of a border wall. “At this time,” Rapuano wrote on behalf of Shanahan, “the Acting Secretary is still considering whether and how to use the authority provided by Section 2808 of title 10, U.S. Code.” That specific section of the National Emergencies Act authorizes the military to undertake certain construction projects that are deemed “necessary to support such use of the armed forces” in the event of a presidential declaration of a national emergency. In a statement to Yahoo News, Brown blasted the president over his plan to circumvent Congress and use the U.S. military as “political props” on the southern border. Among other noteworthy insights from the letter Brown and his colleagues received Tuesday was the open-ended response to a question about the military’s long-term strategy for its mission at the southern border and, specifically, what conditions on the ground must be met to merit withdrawal from the border. “When DHS no longer requires DoD assistance to secure the southern border,” Rapuano replied.